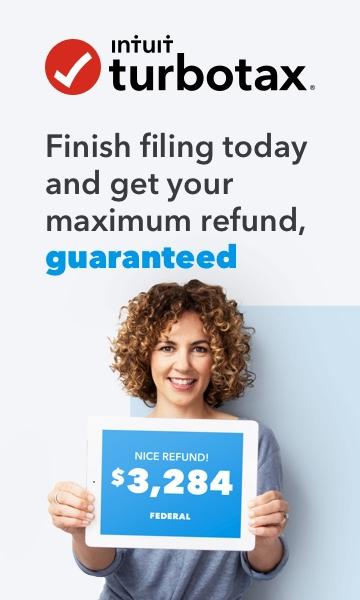 Is anyone else frustrated with TurboTax about the misleading $39.99 Refund Processing fee? This $39.99 so called Refund Processing fee is misleading and the TurboTax website is misleading. Why isn't there a notification or disclaimer that says if you pay with a credit card then the $39.99 fee will NOT be charged? TurboTax is misleading it's customers. Put a box on the payment page that says, if you pay with a credit card you will NOT be charged the $39.99 fee. This is deceptive marketing. Yes, this sort of dishonest rigmarole is why I at least visually scan the forms I'm signing. 'Green Dot Bank' and everyone else doesn't need to pile on to the rip-off train. I'm seriously considering not using this service for 2019. What a scam! I was just about to file my 2018 tax return when I read over Turbotax fine print, so I'm being charged 79.98 for turbotax fee plus 39.99 ($40.00) for the bank processing fee to deposit funds in my account in under 21 days, worst of all, if you file electronically to the IRS it's also guarantee to be deposit funds within the same amount of time of under 21 days, WITHOUT THE $39.99 PROCESSING FEE! Not much point in filing electronically under Turbotax is there? I agree it is misleading and deceptive! I have always used Turbotax and so has most of my family. I will no longer use them and have warned my family. If they feel it is OK to "trick" people, and basically steal $40 from me, then I will no longer do business with them. I read and understood their notice about deducting the 39.99 for me, as that was the ONLY thing they would deduct. I did not realize that was in addition to the 39.99 they were already billing me. And interesting enough, it is not mentioned ANYWHERE in any paperwork they give you at the end. I cannot find it anywhere when I log back in. Under my charges it only lists the initial $39.99 I agreed to. It is so wrong of them to mislead customers. I hope more people complain and start a class action law suit. I TOTALLY agree!! How misleading!!! Absolutely! I got suckered into this and I am seriously pissed off. I use this service to save money from going to a local accounting company and this really ruins the whole point and is shady as hell. I didn't see anywhere that I would be charged an extra $39.99 to use my refund to pay for the TurboTax delux service until I printed off my finalized summary of my return and seen that my Expected proceeds was less than what my original amount was going to be. I immediately called customer service and they sent me to a website to pay for my TurboTax fees before it was processed to the outside bank where the fraudulant $39.99 fee would come from. She said it could take 48hrs to show up there once it was invoiced and in their system. I tried logging in to that website service for 3 days and it never accepted my order number/zip code to do so. Deceptive and downright criminal in my opinion. If I cant get my money back I will never use this service again and I will tell everyone that I know to never use this service. I will recommend all competitors. This is how you lose customers TurboTax. I was tired and did my taxes after work yesterday and ended up paying the $40 to pay the $60. I was so angry; I knew better than to use the company that makes trashy 1 Quickbooks to do my taxes. I’ll definitely be using a different tax software next year. I hope you enjoy that $40 intuit you sleezy company. I’m going to dedicate my career toward moving as many companies from quickbooks as possible.